I arrived at DFW Airport plenty early for my American Premium Economy flight to Madrid. That left lots of time for a lounge visit. Although my flight departed from Terminal A, the Admirals Club there is currently being renovated. Since I’ve never visited the Admirals Club DFW Terminal C, I hopped on the Skylink train for the short ride over. 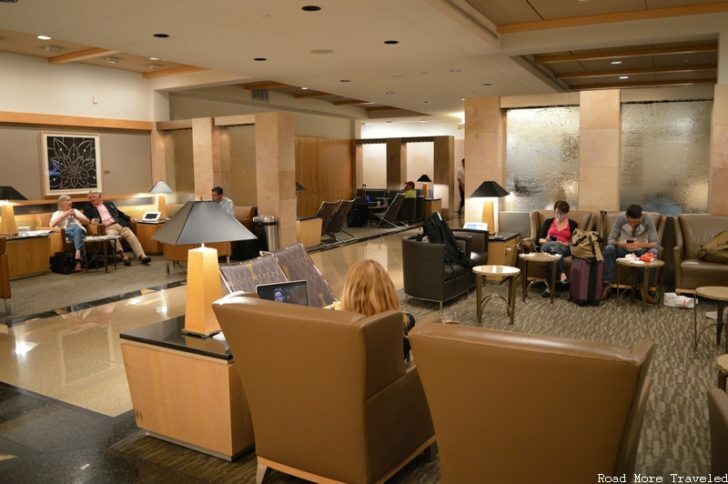 The Admirals Club DFW Terminal C is located between gates 19 and 20. This is pretty much dead center in the terminal. In addition, it is a short walk from the C21-39 Skylink station. Not sure if you’re headed the right way? Just look for the giant neon eAAgle across the hall. Passengers not meeting any of the above criteria may purchase a day pass for $50. 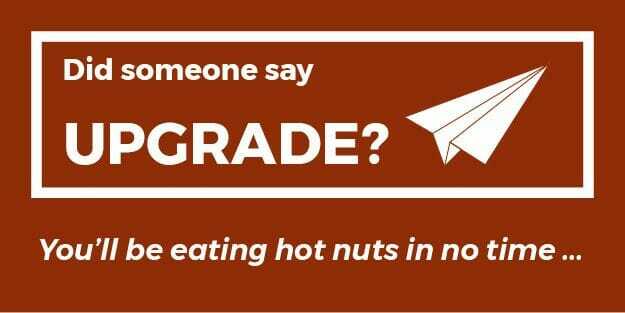 As for me, though Premium Economy doesn’t include lounge access, I used my Citi Prestige card to gain access. The club features a semi split-level design, in that guests walk up a flight of steps from the reception desk to the main lounge level. The actual lounge is spread out in rectangular shape on a single level. A right turn takes you down a long corridor with miscellaneous seating arrangements on either side. Meanwhile, a couple of pieces of modern art are located at the end of the hall. This section also features an open TV room. Much to my pleasant surprise, it wasn’t set at a blaring volume. 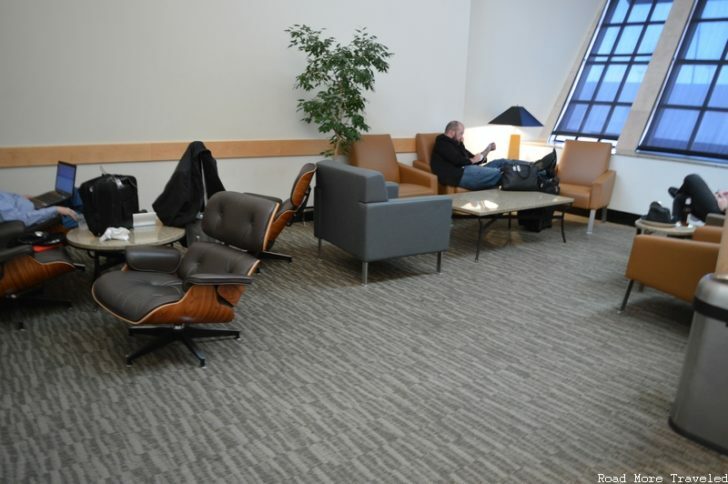 Seating consists of standard-issue Admirals Club furniture, though there are multiple options to choose from. In addition, plenty of power outlets are provided, generally two per set of two chairs. This is a noticeable improvement over the Terminal D club, where finding a seat with power can sometimes prove challenging. As you can see, not many people chose to sit in this area, perhaps because the lack of natural light made it a bit gloomy. On the other hand, less people also equals less noise, if quiet is what you crave. Continuing on down, the corridor opens up into the bar/dining area (pardon the blurry photo). A large skylight provides welcome natural light, helping offset the noise in this section. I definitely don’t recommend sitting back here if you need a quiet spot to work. To the left of the main entryway, the club opens up into a large, atrium-style seating area on one side. Here, the design somewhat resembles what you’ll find in the Terminal D club, with high ceilings and skylights providing a bit of natural light. Notice anything missing? Despite the presence of floor-to-ceiling windows, there are NO airport views to be found! Granted, the fault lies not with the club itself, but with the airport’s design. The windows, unfortunately, face a bunch of airport office buildings, making planespotting impossible in any case. Meanwhile, towards the far end of this section sits a collection of comfy lounge chairs, for those looking for room to stretch their feet. Perhaps due to the more open layout, this area tends to be more popular, and thus it can get loud. For guests seeking less noise, a closed-in seating area across the hall also provides light without the ruckus. Finally, this club includes a full business center with plentiful cubicle working space. Workstations are available at select cubes, or you can set up your own laptop. Given the ample number of cubicles, you shouldn’t have any trouble if you need a quiet place to work. The club features standard Admirals Club food and beverage options. Which is to say, not much, unless you’re willing to pay. Menus are available at the bar, featuring the usual selection of wraps, salads, sandwiches, etc. In theory, you can order food and drinks from your seat. However, in my roughly one hour in the lounge, I had one attendant come by asking if I wanted anything. Clearly, it’s far more efficient just to order at the bar. As far as free offerings, all guests receive a coupon for one free premium beverage of your choice. UPDATE: As noted by Brad, Primal Travel, and David in the comments, drink tickets aren’t automatic. Tickets are issued to international passengers, regardless of class of travel. Also available are various snack foods, including soups, cookies, and cheese and crackers, along with complimentary house beer and wine. The club provides three snack bar areas, one at the main bar, one in the center of the lounge, and one at the opposite end. The snack area at bar is the largest and has the greatest selection of items, including soups. Feeling just a tad peckish, I helped myself to broccoli-cheddar soup, and cashed in my drink coupon for a nice Malbec. Though I didn’t go back for seconds on the wine, the free house selection is typically rather dreadful. In other words, better than nothing, but don’t expect any Wine Spectator awards. While the soup was delicious, the lack of free offerings is my biggest complaint about Admirals Clubs. (In fairness, AA is no worse than Delta or United in this regard.) Surely AA can at least swing for some chips and queso? Anyway, for those who would rather not schlep all the way to the bar, two other snack stations are available. These are primarily coffee/tea stations, though snack mixes are also available. For what it’s worth, the coffee drinks from the machines are decent. Take my verdict with a grain of salt, though; I’m hardly a coffee snob. 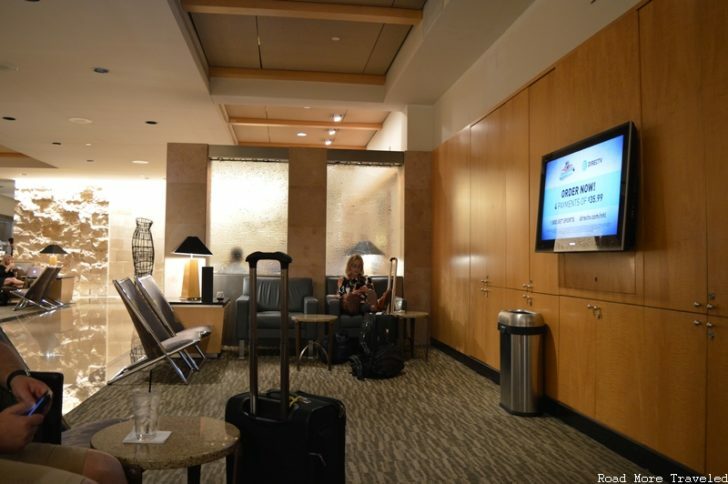 Ultimately, if you’ve spent time in any domestic Admirals Club, this one will look familiar. This club is spacious, the generous working space is welcome, and overall it seems less hectic than the larger club in Terminal D. On the other hand, the design is pretty bland, and it suffers from the same mediocre food and beverage selection as other domestic clubs. 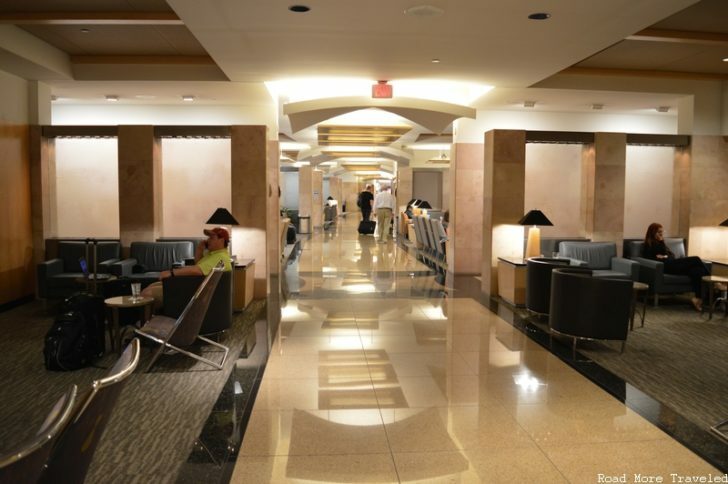 I would narrowly give it the edge over Terminal D; however, I’m curious to see what the renovated Terminal A lounge looks like once it’s completed. One caveat – if you qualify for the Flagship Dining room, then you definitely want to stick with the Terminal D club.